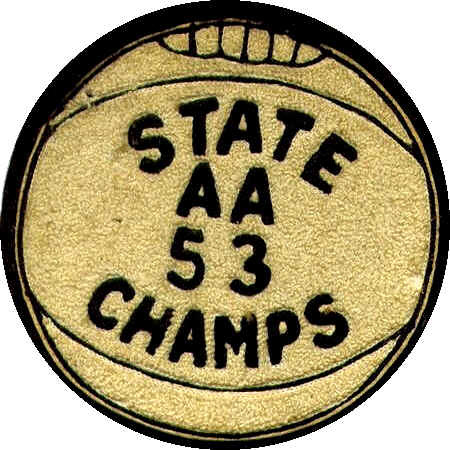 This monogram, from a 1953Tri-City High School sweater. was worn by Roy Searcy, a standout on that AA High School North Carolina championship team. Roy graduated from the University of North Carolina at Chapel Hill in 1958. He was a junior on UNC's 1957 NCAA National Championship team, coached by legend Frank McGuire. Roy died of colon cancer on December 24, 1994 in Winston Salem, NC. He is a member of the Eden YMCA Hall of Fame.